Portuguese Heritage Publications of California, is pleased to announce the release of its latest publication, Untamed Dreams – Faces of America, which will be available for sale at our booth at “Dia de Portugal” Festival, at San Jose Park, 1650 Senter Road, San Jose, California. 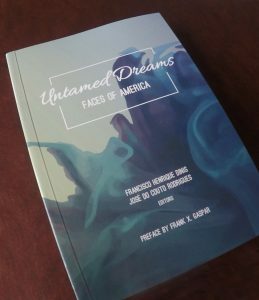 For your convenience, you may also order it online at: https://portuguesebooks.org/books/untamed-dreams-faces-of-america/. Untamed Dreams – Faces of America is designed as a 393 page semi-hard cover, profusely illustrated, limited edition book that brings together individual immigrant’s life stories that represent the qualities that have long distinguished the Portuguese community of California. In today’s political climate in which immigration seems to be at the very center of our political discord, we are very proud to bring to you the profiles of individual immigrants, many of whom lived or are living very quiet lives away from the public eye, but whose actions, determination and caring character make every one of them a good example of the great human qualities that make America this very special place on earth. Portuguese Heritage Publications is an all volunteer based, non-profit organization, created to research, preserve and disseminate for educational purposes, vanishing memories and current relevant events about the Portuguese presence in California. Portuguese Heritage Publications of California proudly announces that the release of its first children’s book – Maria and the Lost Calf, by Kate Morejohn and illustrated by Dwight Morejohn, has received first place “Award Winning Author” in the best overall category of “Best Latino Focused Children’s Picture Book – English” and in category “Best Children’s Picture Book in Portuguese (Originally in another language)”. This recognition was awarded at the 2015 International Latino Book Awards event. Written in both English and Portuguese, Maria and the Lost Calf takes place in the Marin headlands at the turn of last century, beautifully telling the story of a young Portuguese farmer’s daughter, sweet Maria, who loses her favorite calf. The first children’s book to feature Portuguese-speaking immigrants in California, Maria and the Lost Calf is a frolicking foray into the main character’s heritage, family, culture, the California dairy industry and Holy Ghost festas. 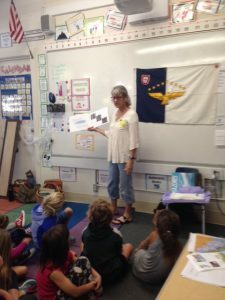 In the book, little Maria also reminiscences about her family and friends back home in the Azores, and the long and hazardous ship voyage to California. In full color and hard cover, the book features bilingual text and is lovingly illustrated with the original watercolors by Dwight Morejohn. Maria and the Lost Calf is the ideal gift for every child in your family and circle of friends. Enrich a kid’s life by gifting this beautiful book. 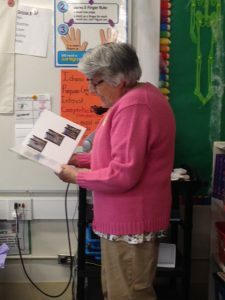 It is also a history lesson, recommended by both teachers and librarians, and for both children and adult Portuguese language curriculum, as an educational tool about important Portuguese immigrantion to California. Portuguese Heritage Publications of California, Inc. is a non-profit organization 501 c (3), created to research, preserve and disseminate for educational purposes, vanishing memories and current relevant events about the Portuguese presence in California. Maria and the Lost Calf was funded by a generous donation from the Luso-American Development Foundation.